Applications for TCC scholarships are being accepted through June 1. 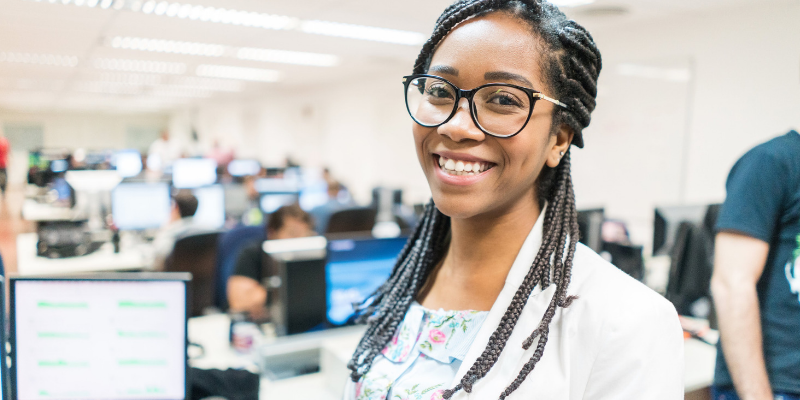 Whether you’re a woman studying STEM, a recent high school graduate or a military-related student returning to school, chances are we have a scholarship that can help you pay for classes. Don’t miss out on free money to further your academic goals. Applications for Tidewater Community College’s 2019 fall scholarship cycle are being accepted through June 1. Through the generous contributions of individual donors and organizations, TCC’s Educational Foundation is able to provide scholarships to support students’ academic studies and achievement. Awards may be used for tuition, books and fees at TCC. Most TCC Educational Foundation scholarships are worth $500 or more. They do not need to be repaid. Depending on your unmet need, you may be awarded more than one scholarship. Student Kevin Fraser, winner of the Coca-Cola Enterprises Scholarship, was shocked when $500 hit his student account. “I had no idea how large these awards are,” Fraser said. Student Dawn Johns, recipient of the Sarah “Tata” White Kellam Scholarship, searched for all the awards she was eligible to receive in Academic Works. “Some of them don’t even require an essay – you’re just completing the form,” she said. Start by completing the 2019-20 FAFSA, which determines your eligibility for financial aid. Find the FAFSA online at www.fafsa.ed.gov. List TCC as your school of choice by using the code 003712. Sign into the scholarship application system using your myTCC log-in and password. From there, it’s just a matter of browsing scholarship opportunities and applying for ones that fit you best. Fall classes begin Aug. 19. Class registration is currently open. For more information, visit www.tcc.edu/scholarships. To learn about establishing a scholarship at TCC, contact the TCC Educational Foundation at foundation@tcc.edu or 757-822-1080.